I love thinking about remodeling "my" house. I currently live in an apartment and have nothing to remodel, but that doesn't stop me from dreaming about it! A while back I shared some things that I would like in my dream kitchen some day--here are a few more kitchen related dream house ideas! 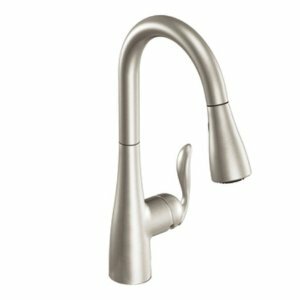 I love the sleekness of this Moen Pull Down Faucet. 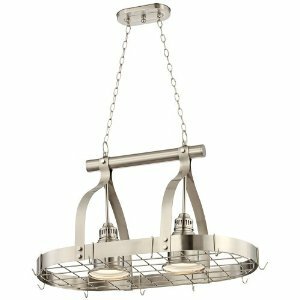 Some type of pendant lighting will be a must! These have "Easy-Install" in their name, which is great for do-it-yourselfers! A hanging pot rack is both functional and decorative. 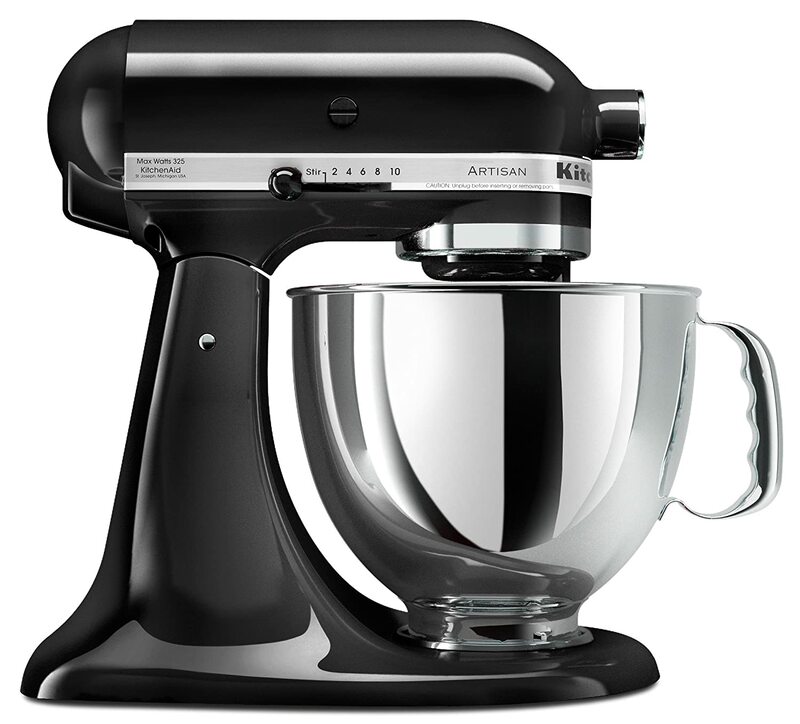 Of course my dream kitchen will have the classic Kitchen Aid Mixer--I am not sure which color yet! 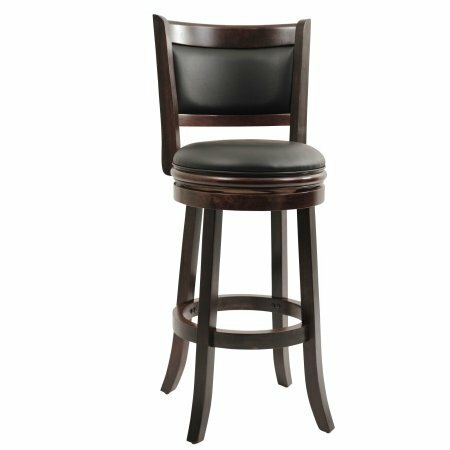 This bar stool looks very nice. I like the fact that it looks sturdy and has a classic yet contemporary design. Yes, I already have a crock pot--two actually. However, this one is massive. It holds eight and a half quarts! That's twice the size of my "big" one. I couldn't dream of having one this large now, but someday hopefully I will have room. 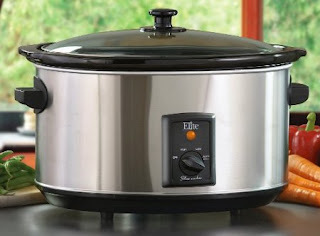 I love cooking using the crock pot! 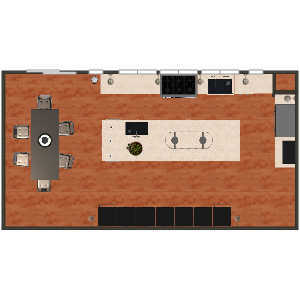 I was playing around with HomeStyler and came up with this floor plan, which I do really like. (I think you can go here for a better view.) I really love the giant island--it just gives so much usable work space. My other favorite feature is the outer wall (on top) has no upper cabinets, which allows for big windows bringing in tons of natural light. The opposite wall has floor to ceiling cabinets for storage. So there are seven thoughts for my dream kitchen. 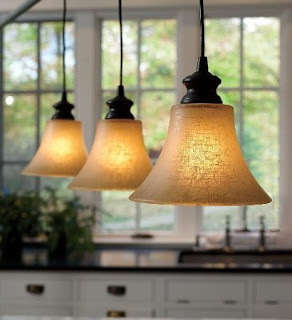 What do you have on your dream kitchen wish list? Are you like me and dream about remodeling without having anything to remodel? 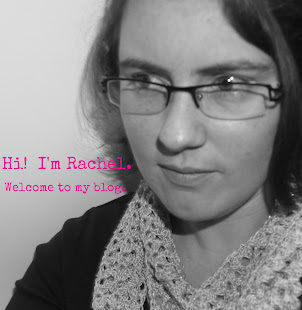 For more Quick Takes go to Jen's blog! All bloggers who don't have social media buttons need to check out this giveaway! All current giveaways can now be found in my tabs under "Giveaways". #5 Barstool with backs are best. I approve.